Saturday March 30 and as we prepared to spring our clocks forward, Rye Town Football Club sprung into life in this East Sussex Premier League fixture away to 9th placed Northiam 75. 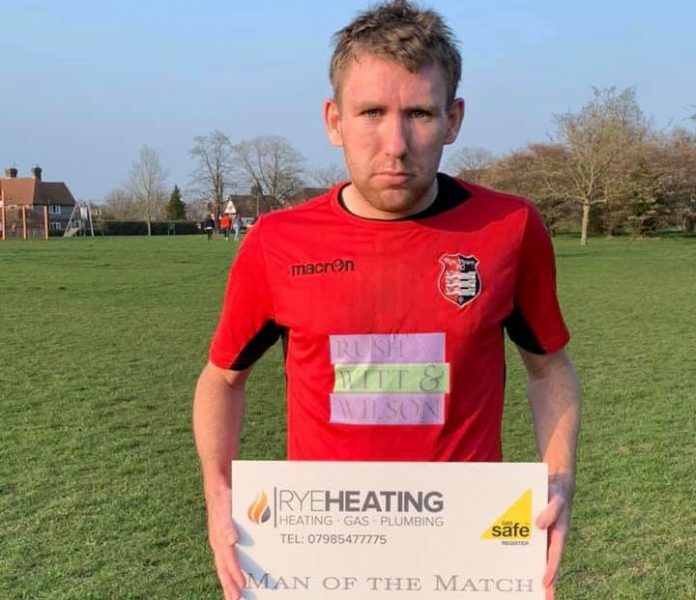 With only 6 minutes on the clock SJ Henham put Town in front and on the stroke of half time Tom Barlow doubled Town’s tally and they went into the half time interval with a commanding 2-0 lead. Town’s good performance continued in the second half and a Luke Willis penalty in the 83rd minute increased the lead to 3-0. Northiam responded in the 86th minute but it was too little too late and Town ran out 3-1 winners and brought home the 3 league points and assured Town of a sixth place finish this season. Rye’s final game of the season is on Saturday April 6 with an away tie versus Hawkhurst, kick off is at 3pm. The match will be sponsored by John Tolhurst.